Thanksgiving week. Quiet, except on the roads. There, as ever, traffic, multiplies. The political landscape is depressing. Fundraising is struggling. Despite reports that it is flourishing, for smaller, non-basic need organizations, that is very far from the truth. Money given to hurricanes and fires was not mainly new monies. It was “instead” of donations. Small nonprofits suffer from this. People at the lower end of the financial pyramid—those who generally sustain these small organizations—are not giving, or not giving as much. Panicked by their inability to mobilize donors, these small nonprofits are facing cuts to critical services, to salaries, to staff. This is not the best way to make our world a better place. In one of the online classes I facilitate, I ask the students what’s good—and bad—about working in a small nonprofit. The bad generally focuses on lack of resources and lack of a living wage. What’s good is the ability to get your hands dirty doing the important work of changing the world. But how much changing really happens when you are so busy running around plugging holes? 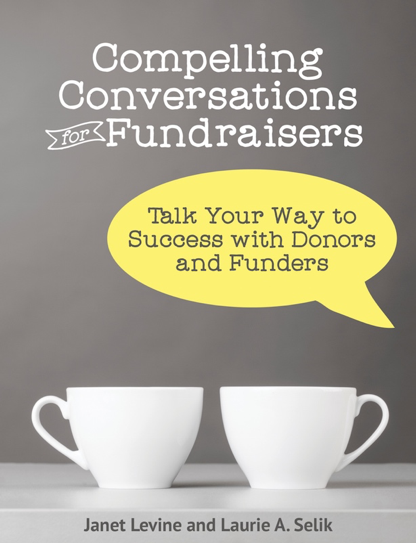 As we move into the end of the year cacophony of nonprofits asking me (and you!) to donate, I find myself thinking, “Should this organization even exist?” Is it doing something very different from the 12 or 120 other nonprofits serving the same or similar constituents in the same geographical area? Is the difference substantive enough that it warrants another organization? Or should these organizations gather together to better, more efficiently, more their missions forward? Oh, I know. This is yours, and you do it differently. And perhaps you do. But does that mean that it is smart or wise for you to go it alone? Wouldn’t you be more effective if all your staff were focused on programs and there was combined back office and fundraising functions? Nonprofits live and thrive because of peoples’ passions for the mission, the purpose, the impact of what their nonprofit does. But does that passion get in the way of being practical and thinking about how you can best serve your cause or your clients and make a huge difference in the world? Think about it. Consider what you truly accomplish and how it impacts the issues you are attempting to serve. Fewer organizations would be able to get the word out more broadly. They would serve more people, have a louder voice. Administration would be more effective and efficient, saving money that could, in turn, be used to push missions forward. In 2008, there was a hope that more nonprofits would join forces. Economic issues seemed to point that way. Instead, most small nonprofits dug their heels in, cut to the bone…and sort of survived. Maybe now, without those pressures, more organizations can consider what is best not just for them, but for their clients and for the sector. Janet Levine Consulting works with nonprofits, helping them to move from mired to inspired–and to get the most from all their efforts. Learn how we can help you and your organization by scheduling a free 30-minute consultation. Check out our website at http://www.janetlevineconsulting.org, and do sign up for the newsletter. This entry was posted in business practices and tagged consolidation, join forces, service. Bookmark the permalink.